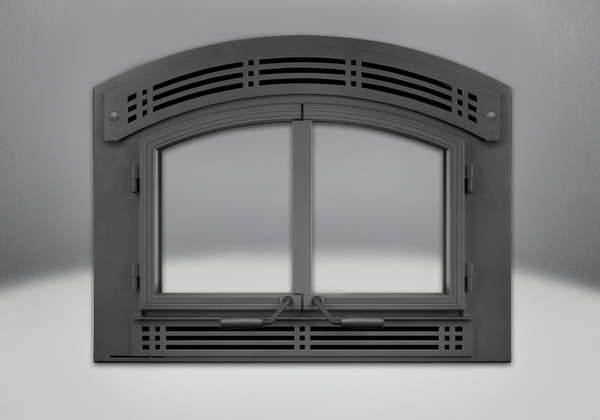 The Napoleon Arched Black Faceplate can be found with plate steel construction and black versatile color. It includes an integral door frame and requires the the Napoleon FPHK-H or FPMK-H for completion. Imagine finding both form and function in one product and you'll see a version of this Napoleon contribution. With the Napoleon High Country NZ3000H fireplace in mind, this strong, enduring build is well worth your consideration.